McDonald’s UK are testing the McRib in Sheffield!! This is the testing story, for the full exclusive pre-launch review see here. 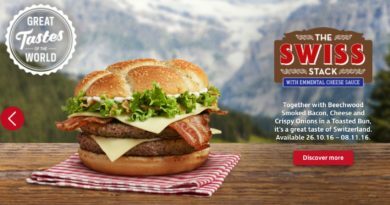 Burger Lad® is no stranger to the fabled McRib sandwich which is often requested, but not available regularly in the UK. In fact, you can see our review of the German McRib here. I’m not feeling my best at the moment but my interest levels were raised when I received a tweet late-ish on Wednesday night saying that the McRib was being tested in Sheffield. I was cynical at best. “Picture or it didn’t happen” were my first thoughts. So I asked the person that tipped us off to get us a picture. Within minutes I received the following tweet showing what is clearly a McRib being served in McDonald’s. To be honest I was approaching this breaking news cautiously. After all, we faked a Chicken Big Mac recently and it fooled one or two people. I had a quick search on Google but found nothing. Twitter revealed someone based in Sheffield talking about the McRib being served – do you think I can find that tweet now!? No… it seems the McRib has returned in the USA so Twitter is full of McRib comments and I’m feeling too ill to trawl through anymore. @Burger_Lad My local said they had bigtasty with bacon and mcribs programmed on the till last week but they thought it was a mistake! We even had someone in Sheffield today to check on the existence of the McRib and they confirmed that 1) it had been on-sale and 2) they had sold out. Sounds like the test is going well. @McDonaldsUK why can I get a McRib in Sheffield but not Doncaster? In the end I could not stand it any longer. A quick online search presented me with McDonald’s Sheffield, 20-22 High Street, 0114 275 2605. “I can’t take this anymore…” so I gave them a call. The phone rang for what seemed like an eternity. 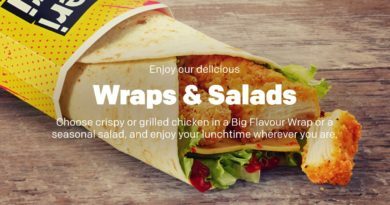 I spoke to someone very helpful who confirmed that yes… the McRib is being tested in Sheffield and is also available at the Hillsborough branch. How long is the McRib available? 2 weeks I was told. I was also told that it had sold out today but would be available again tomorrow. So there you have it. CONFIRMED! McDonald’s UK ARE testing the McRib in Sheffield. In the meantime, if you are in the Steel City and mange to get amongst this very limited sandwich tweet us and we’ll get the pictures added to the site ASAP. Special thanks to Robin G, Bad Drawnly Boy and James Smith for all their detective work on the McDonald’s UK McRib testing. We’ll update you as and when it comes in. Here are some additional sightings from The Ribheads on Twitter (man they love a Ribwich… I mean a McRib). The McRib is being tested in 6 stores for 2 weeks only for operational purposes. Could return as a promotional item in the future. 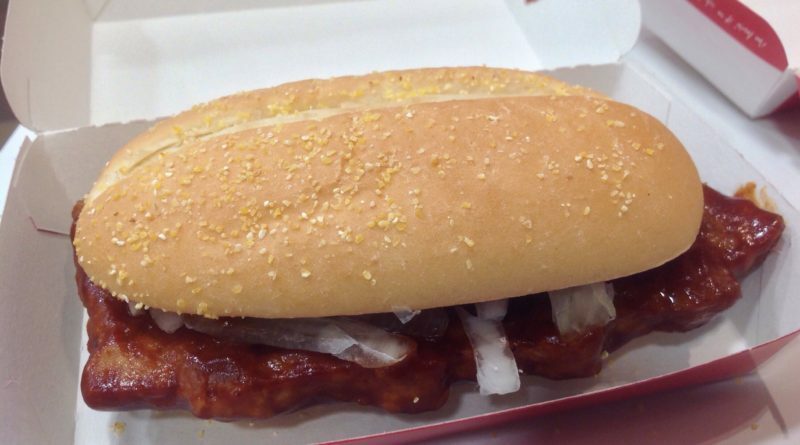 We’ll update as and when we have anything else on the limited testing of the McRib in the UK. Thanks. Like very near future!? Insider Info: McRibs were being made in my store as a demonstration to numerous store managers (20+) TODAY. McRib build info on our wall, and small amount of stock (for demonstration) seen today. Expecting to land possibly mid/late october, unconfirmed. 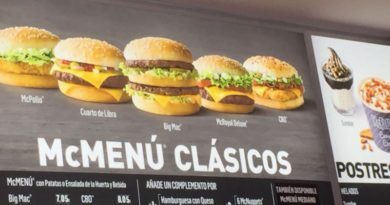 Also seen a 5-6 week run of other promotional burgers including a Pepperoni Pizza Burger and a "Name TBC" Chicken and Cheddar special. Thanks for this, drop us an email if you can in the future. Hello, me again. Call me McDude. Not much detail on the McRib but rumour slates a January roll-out after the festive menu has finished. Curiously saw McRib patties still in our stock freezer recently. Due to customer demand, the McRib is returning to our menu on 1st January as part of the January Food Event. On Friday 21st November, we will use Twitter and the McDonald’s UK Facebook page to spread the news, and we would like to ask you and your teams to share the launch post on your social networks.